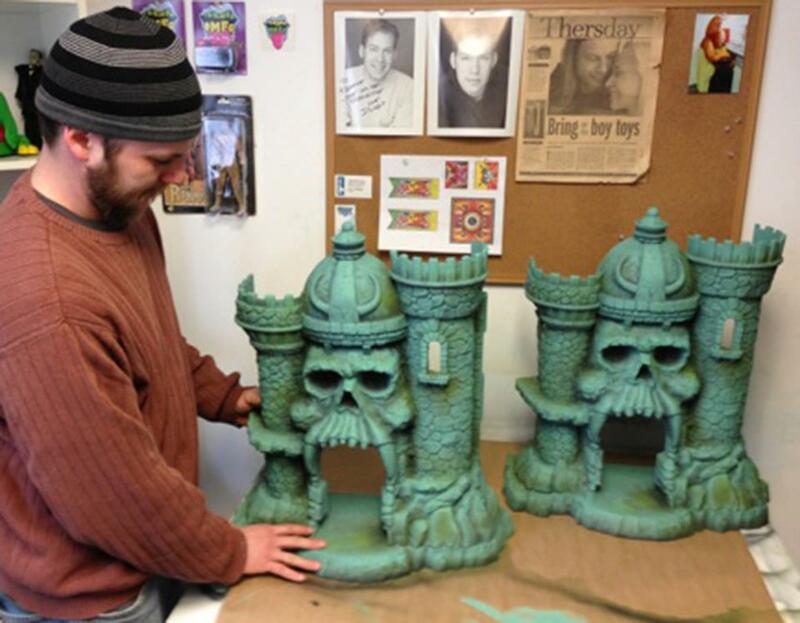 In yesterday’s Toyark: Off The Shelf, we shared a pic of the upcoming Masters of the Universe Classics Castle Grayskull being painted. 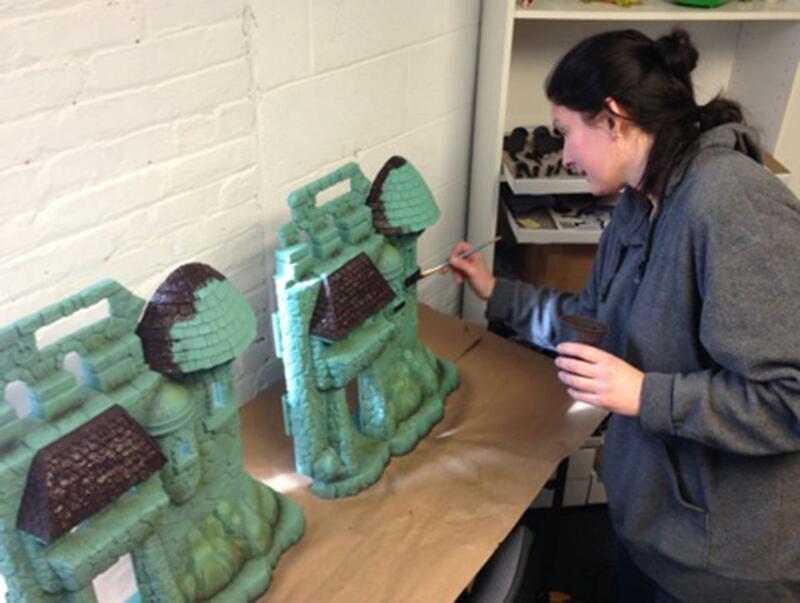 Well, MattyCollector has posted a small gallery of this process. 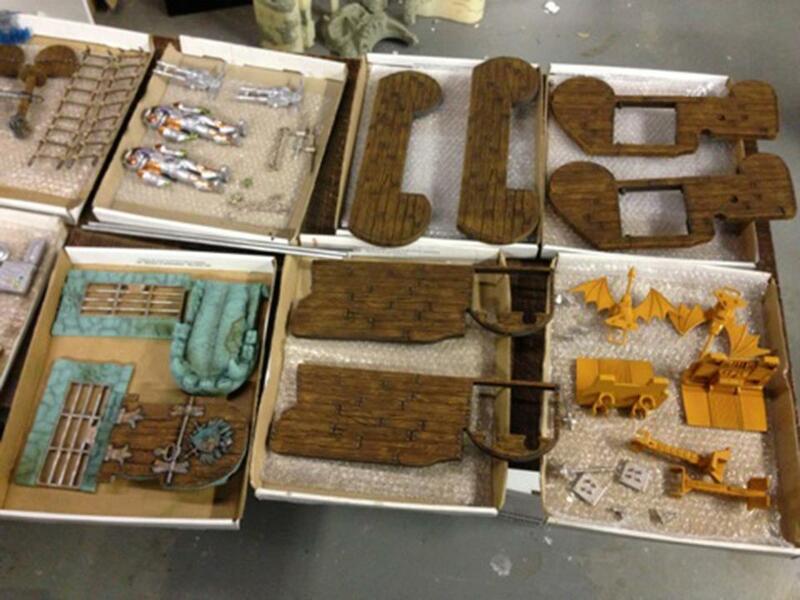 It gives us a real good look at the upcoming play set. 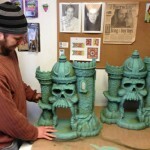 Also, Scott “Toy Guru” Neitlich has posted a new MattyCollector video showing a comparison between the original and new Castle Grayskull. Read on to see the pics and the video. Totally satisfied with that size. Looks like it will be a whopper of a toy! Cannot wait to get my He-men into that piece. 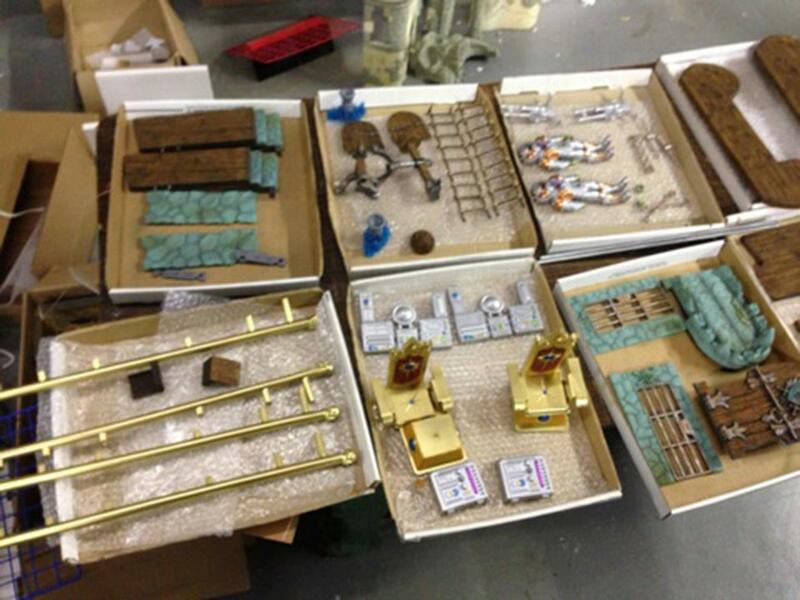 Hey Matty, could you measure and post the width and length of the playset when closed and fully opened? I will be building a shelf in expectation of this bad boy so I am hoping I can get some more measurements but the ones Scott gave us is a good start. Thanks a ton for the video and the paint in process photos. Wow. The paint work is looking great! Loving the wood grain details. I cannot wait to get this bad boy. A bit off-topic, but anyone has an idea what type of paint are they using? Was under the impression that regular industrial paints were very toxic, normally done and painted in China as they were not allowed to be exported. But the girl here is using them as if nothing. 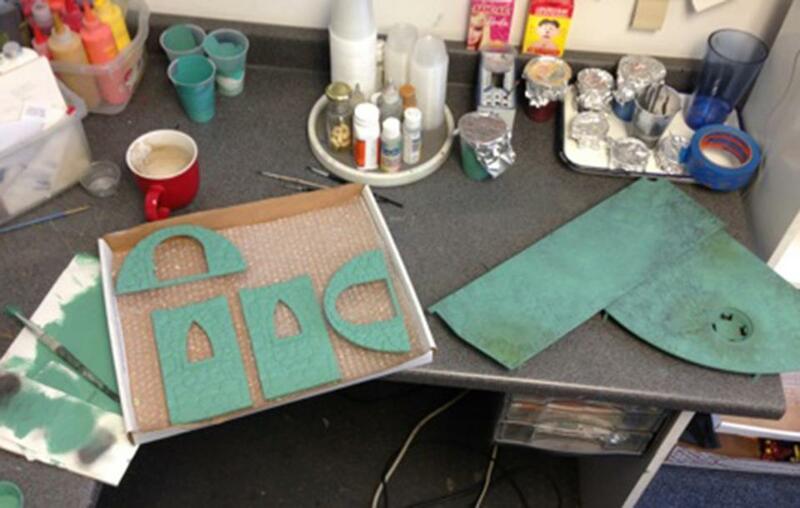 Since this is examples of the mock-up I am sure it is a safer less toxic paint just for color coding purposes. The painter looks tiny next to the castle! Who started that dumb rumor about the paint things are made in America with paint and tampos on them tons of industrial chemicals and paints are toxic. 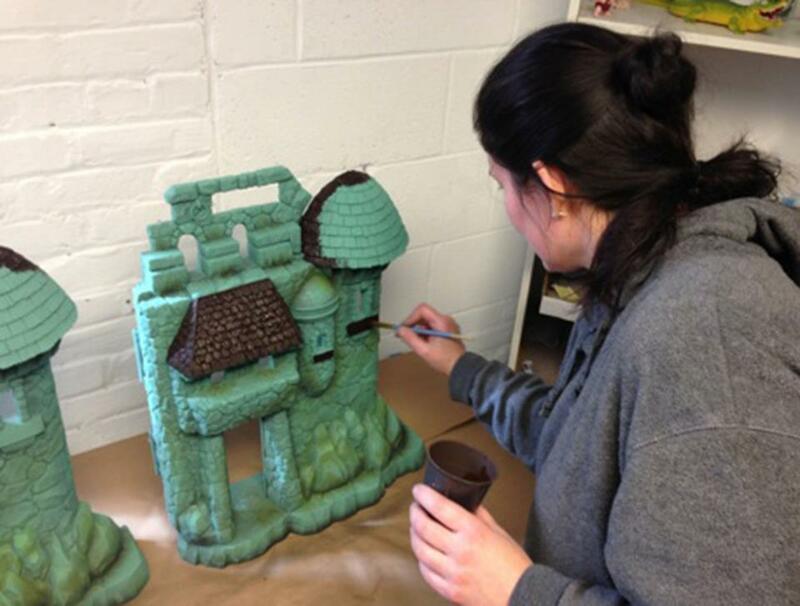 She's probably using paint that they use to paint things that dries solid. Or it's the Mattel paint they use that chips off everything like off the weapons and hands of the figures.